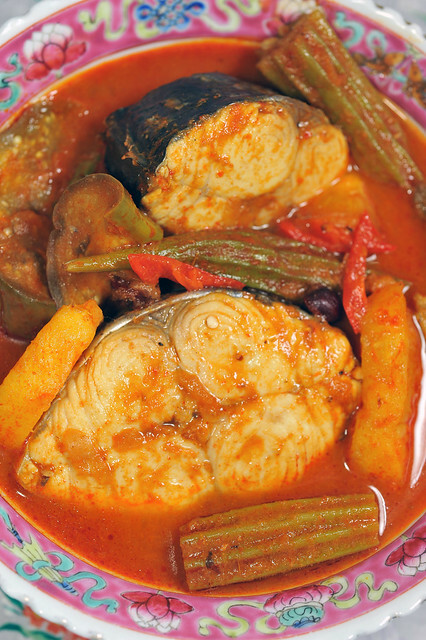 Ikan Gerang Asam is one of my favorite Peranakan dishes. It is also amongst the first nyonya dishes that I’d learnt to cook and experimented with. The intermingling of tang and heat often calls for additional servings of rice just to finish up any remnants of kuah (gravy) and assortment of stewed vegetables that went with it, even when the fish was long gone. 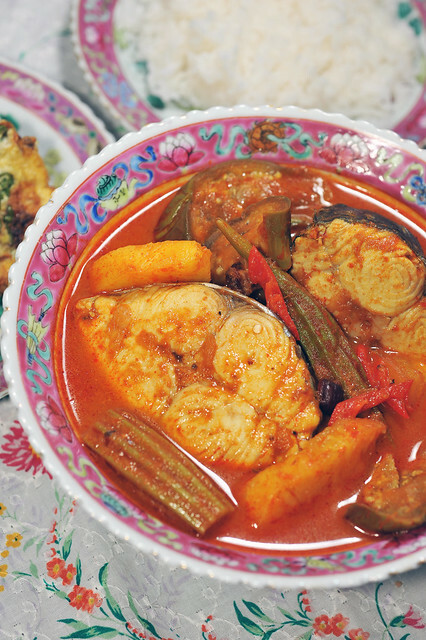 Often times, more kuah than what the dish required would be prepared, so as to add more fish or other seafood, as well as vegetables and fruit for second helpings the next day. As with most stew or curry-based dishes, the flavours develop over time making it more sedap nia!! !